Peripheral-multiplexing -- (Nearly) any pin can support any of the above features. I'm having trouble getting this board to work. More Context: I am old school, being used to programming an nRF52840 with a JLink debugger and the SWD header. 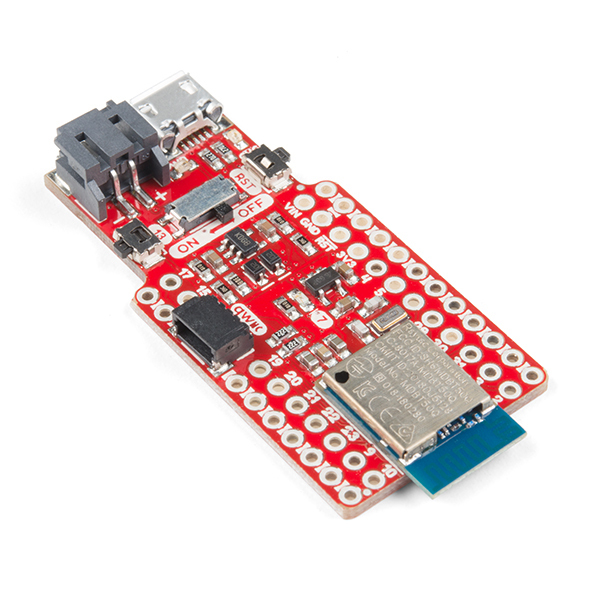 So I already attached a header to the back of this SparkFun Pro nRF52840 Mini, and JLink was happy to flash both Softdevice and the app (made sure to use the new customized CFLAGS += -DBOARD_SPARKFUN_NRF52840_MINI in the Makefile). But, nothing happens and the DFU loader is wiped. There are two courses of action I suppose. (1) One would be to flash a new DFU loader, namely an updated version of Adafruit's DFU loader for SDK 3.0 -- do you know if the procedure on Adafruit Github is valid for this? 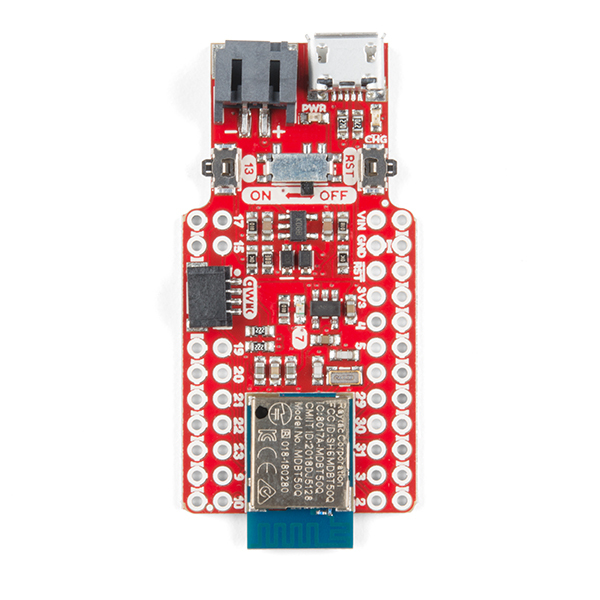 Right now, the Sparkfun board is bricked - but in principle, burning on the right code will restore things. (2) The alternative is just to bypass the bootloader. That doesn't seem to be working. Although the flash appears to work (according to nrfjprog messages), no /dev/ttyACM0 appears and the code doesn't seem to be running. Update: Compiling and flashing the usual Blinky, flashed using normal nrfjprog (with no Softdevice) does work - the LED blinks. Also an example using USB serial works. So the toolchain seems sound. Second Update. 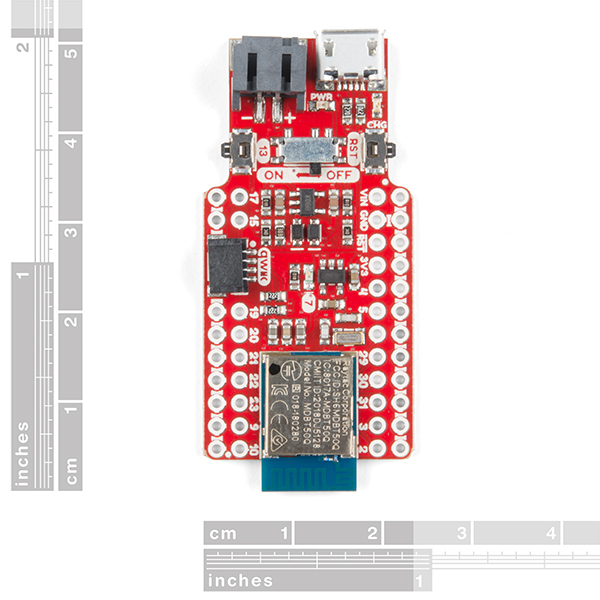 I got the Adafruit bootloader source to compile, but when I specified sparkfun_nrf52840_mini for the board, there were errors such as "at least two buttons required in the BSP" - possibly the unmodified github code is not aware of the two-button trick for this Sparkfun mini? I guess there would be a different branch or some other way to deal with this? Any pointers on what/where that might be? Can I compile the examples with 8.2.1 gcc? I am seeing some linker library issues like libintl3.dll missing. The bootloader doesn't seem to work for the latest softdevice version (which I need for my application). The adafruit conversion of nrfutil may be outdated and the notes on nrfutil suggest that a newer bootloader might be needed for new versions of softdevice (due to size). Is there a procedure to update the bootloader? In the schematic it shows two unpopulated caps for the NFC interface. does this mean that if I place these, the NFC interface would work? Will this unit allow you to charge the lith battery while the on/off button is set to on and plugged into a pc or recharger? Thank you. Hey curious why you are saying that. 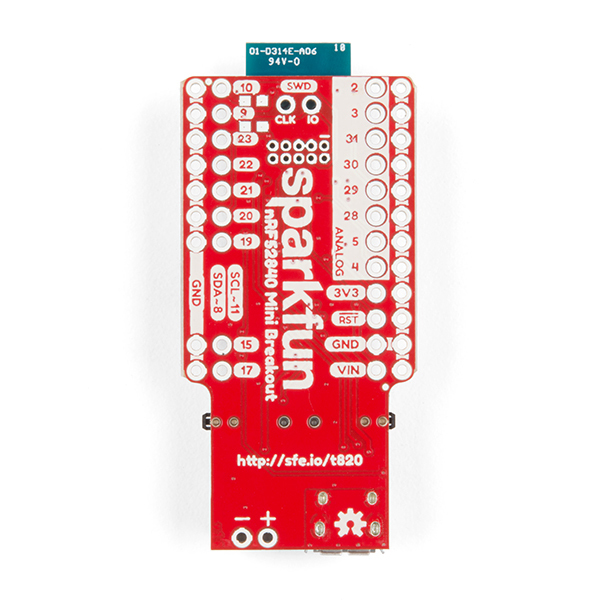 I've bought this to build a HID BLE keyboard by connecting it to an I2C I/O expander. Have you tried the nRF5 SDK HID over GATT example ? "Real-time clock" is a bit of a stretch -- it's actually a "Real-time counter" that counts pulses from the 32.768 kHz crystal, rather than a full-blown Real Time Clock Calendar which has hardware that translates the 32.768 kHz crystal oscillations into seconds-minutes-hours-days-months (and usually years), and usually a CPU chip that has a RTCC has provision for keeping power to the RTCC (and the 32.768 kHz oscillator) from something like a "watch battery" even when all other power is off. The Nordic Semiconductor data sheet (available here) (551 pages!) is really pretty clear about it being a "real-time counter". Although it has modes that draw less than 20 uA, if you're relying on a 500 mAh LiPo, how long the counter will "keep time" depends on the state of charge of the LiPo when it goes into "deep sleep" and can also be limited by the self-discharge of the LiPo. I was hoping this board would be supported by the Zephyr Project. Is there any effort being put in to adding this board to the 300+ boards that are supported by Zephyr?